> Google Chrome Enterprise > Research Reveals Web Browser is Pivotal Aspect of Endpoint Security Strategy. As companies embrace cloud services and encourage employee mobility, digital interactions with company resources have become more distributed and virtualized, blurring the traditional concept of the endpoint. 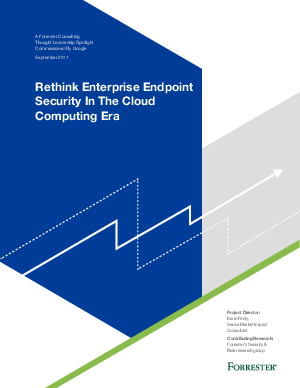 Forrester Research surveyed 1000+ IT professionals to better understand how endpoint security challenges are changing for enterprises. To protect company and customer data, it is increasingly necessary for enterprises to revisit how they approach endpoint security. Read the research brief to uncover key trends in enterprise security, and how IT can protect their enterprise through a more secure and managed web browser.